The Rhombi is the Kocohedron collection’s crown jewel. 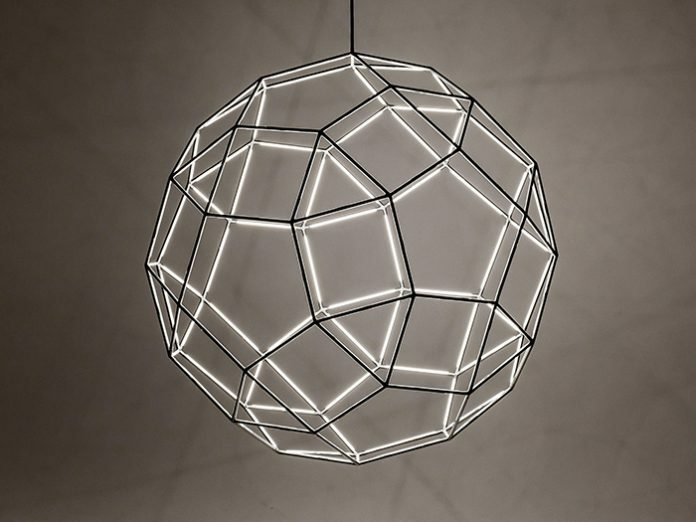 Its wireframe with integrated LED lighting plays tricks on the eye when viewed from different angles. Dimmable and with a colour temperature of 3000K and a CRI of +90, it can be used for mood as well as technical lighting. The Rhombi is hand built to order in The Netherlands.